An incredibly rare watch with a great story of adventure behind it can be near impossible to find. However, lot 755 in the upcoming November Watches Auction is exactly that. 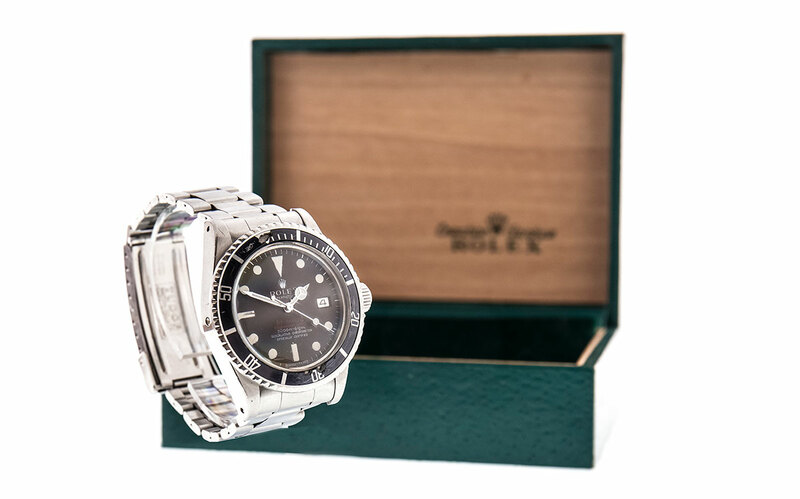 When the Rolex Sea-Dweller was introduced to the market in 1967, the Submariner was already a popular and adequate diving watch, however, there were some slight issues with the watch itself. Sealab, a series of experimental underwater habitats developed by the US Navy, reported that when they were in the decompression chamber after surfacing, the crystal would often violently pop off their watches due to the helium particles used in their breathing gas which would gather inside the case of the watch. These particles would then make their way out through the weakest point of the watch – the plexiglass. The gas escape valve was later created thanks to an idea from Bob Barth, a US Navy Aquanaut, who suggested that there should be a decompression valve to allow the gas to escape, leaving the watch intact. Further improvements were made and the Sea-Dweller was born, able to reach depths of 2000ft and the use of the gas escape valve upon surfacing meant that the watch was left intact. Lot 755 is one of the rare double red sea dweller submariners that survives today and has its own impressive history behind it. The current owner purchased it around 40 years ago in Norway whilst fitting out rigs where it became his everyday working watch due to the fact that it was very tough. However, the original strap proved different and this was replaced many years ago. As a keen diver himself, he commented that it has accompanied him faultlessly on many dives in the North, Mediterranean, Red and Caribbean Seas as well as the Indian Ocean and the Great Barrier Reef. The watch carries an attractive estimate of £6000 - £9000. McTear’s sells more watches than any other Scottish auction house in the dedicated watches auctions that take place monthly, run concurrently live online on a platform that attracts six million visitors annually from over 120 countries worldwide. Come along to the Valuation Days at McTear’s on Tuesday, Wednesday and Thursday this week for complimentary auction advice.